It’s important that you trust your cleaner. Having someone in your home, among your belongings, who’s a stranger can feel a little bit odd. But with the right cleaning service provider, you can ease your mind that you home is in good hands. Ever had something stolen from your house or holiday rental? It’s something that most of us are bound to go through at least once in our lives. Not only does it give you a horrible feeling in the pit of your stomach that someone could do that to you, but also that the person has been through your things. Trusting a person with your valuable items is imperative when you have them around your home. You should always choose a cleaning service provider who run complete police history checks on their employees. Some people just make you feel a little uncomfortable – something is a little bit off with them. Of course, this is not the type of person you’d probably feel comfortable to have around your home every week. If you discuss any problems with a good cleaning service, then they should be able to sort out any issues – potentially replacing someone that you feel uncomfortable being around with a replacement cleaner to put your mind at ease. 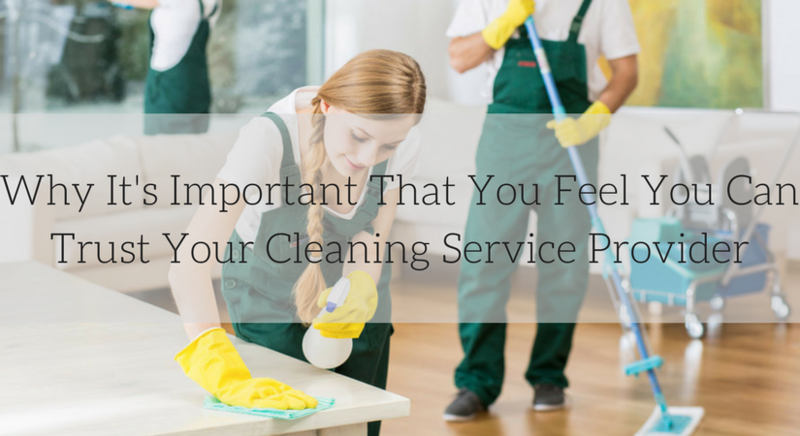 You want to trust that the cleaning service that you hire is going to get you your money’s worth! There’s no point in getting a cleaner round and them doing a half baked job that you need to complete after they leave! For this reason, you want to trust that the company you’re going with provides complete and in depth teaching to all of their cleaners. You want the products and tools that they use to get the job done to be effective, too. Many people are too busy to stay at home while a cleaner comes around – we all lead very busy lives. This is why is it important to trust your cleaner. If you want to be out of the home while the cleaning is being done, then you want to know that your home is in safe hands and that they lock up adequately after they leave. 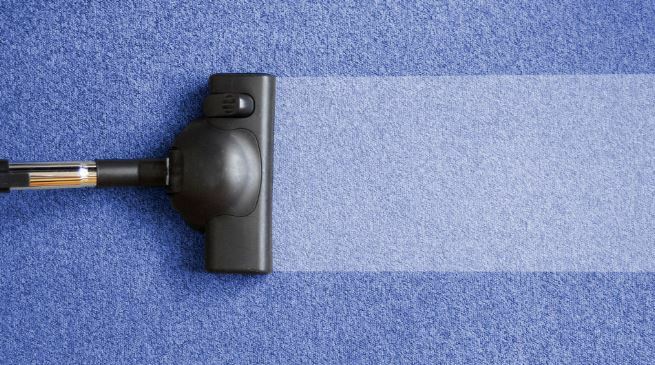 If you don’t have to be home while cleaners are around it can save you a lot of time and hassle.